Posing orientation on portraits generally, but not always, shows a left-cheek bias. Different posing orientations may convey different messages, due to lateralization in facial expression of emotions. Right-cheeked posing orientation is expected to dominate on portraits aimed at communicating rationality. 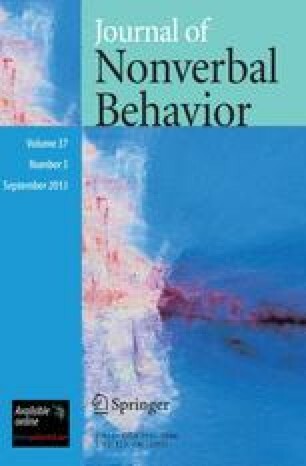 This study examines (1) the posing orientation on portraits of university professors, and (2) the impact of orientation on how ‘scientific’ viewers judged these professors to be. Older portraits show a clear right-cheek bias. Later portraits show a left-cheek bias, which may be related to their less formal nature. Normal and mirror-reversed portraits by two 18th century painters were perceived as equally scientific. However, right-cheeked originals were perceived as more scientific than left-cheeked ones. The findings support the hypothesis that biases in portrait orientation are affected by facial asymmetry in communicating different emotions.